Alice pronounces it “leever”. Hansel says “lehver”. I say either, depending on the circumstance. Now THAT is the protector that Miss Muffet knows of how she views Alice as a big sister. 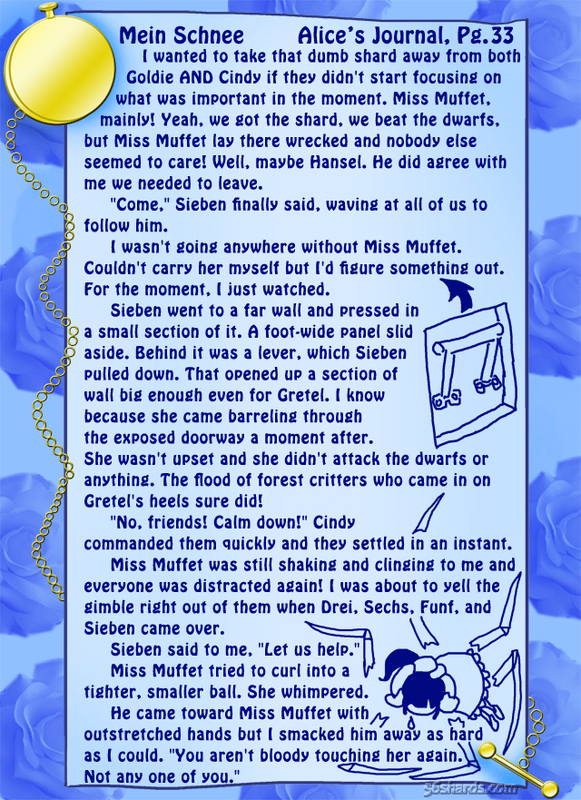 Also even I wonder how Gretel view the secret doorway that lead her to the others ? She really must of had her own little adventure waiting for her brother and their friends.